Calling all Fire Fighters, Ambulance Services, Policemen and EMT’s to Ridgewood Press for any printing that needs to done! Firefighters, EMT's and Law Enforcement Officers all require printed materials to complete their job effectively. As we all know the job is not done till the paperwork is. From Fire Damage Reports, Fund Raising Materials, Speeding Tickets, and Violation Forms. We are not limited to printing on paper: T-shirts, Apparel, Signs, Banners, and Promotional Products are other specialties of ours. Come visit or call us today @ 888-608-9797 to see how Ridgewood Press can help you. Printed Forms include: Inspection Forms, Overtime Forms, Alarm Forms, No Parking Signs. Police Department Forms: Consent to Search, Formal Statements, Investigation Reports, Property/Evidence forms, Vehicle Release forms, Victim Notification Forms, Photo ID's and Permits of all Kinds. 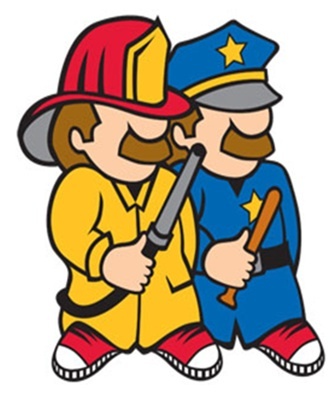 Fire Department Forms: Fire Inspectors Reports, Fire Permits, Smoke Detector Applications and Certificates, Inspection Certificates, Satisfactory sheets and Complaint Forms. Full line of Promotional Items available for Event or Fundraiser.